I've got big news: I've published my first book! 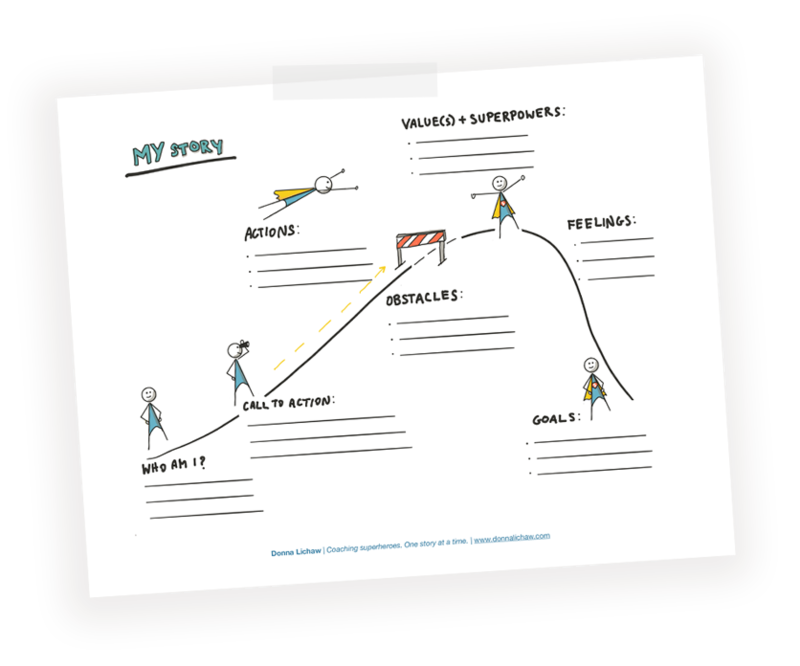 It's called The User's Journey: Storymapping Products That People Love. Because Rosenfeld Media published it, it's got a lovely cover. But it's what's inside that matters most. Filmmakers have thought in terms of narrative structure and story arc for years. In my book, I'll help you see how you can apply the same approach to anything you might design: products, services, transaction flows—you name it! The User's Journey just came out today, and it's available in paperback and just about every ebook format you can imagine. If you sign up for my mailing list at the bottom of this page, you'll get 20% off the list price. You can also always buy it on Amazon. I hope you'll enjoy it! And if you've already grabbed a copy: 1) thanks! and 2) I'd love it if you could review the book on Amazon. Hi, I'm Donna. I’m a superhero coach, speaker, and author. I help leaders in tech and tech adjacent fields unlock their superpowers so that they can get unstuck, level up, lead more effectively, and make an impact at work and in life. Do you want to be more super at work? Let’s chat.